There are certain events in life that you won't forget. This is one of them. It has been thirteen years since I almost lost my second born. One might have thought I would have forgotten about the pure miracle that happened that night. I haven't. I was a young, healthy twenty-four year old and the pregnancy up till then was uneventful. I was hardly sick at all and life was good. But at twenty weeks, something went terribly wrong. In retrospect, it is now 20/20. That's how life is, right? We never know what events will shape our lives, our faith, until something happens that causes us to stop and think about who really is in control after all. I was thirty-two and a half weeks pregnant, and laying in a hospital bed due to complications from a condition called Placenta Previa. All my visitors had left for the day and I was winding down thinking about gearing up for yet another sleepless night. It's amazing how much you DON'T want sleep after laying in bed for what seemed like an eternity. (I was going on a little over twelve weeks of full blown bed rest). When I awoke, I was told that my baby had miraculously survived, but he was very sick. My placenta had abrupted. A condition in which the baby does not normally survive, because the placenta, which not only nourishes the baby, but provides oxygen and blood supply completely separates from the uterine wall. If babies do survive, they have a 50% chance of having permanent complications. My little guy was immediately whisked away to a different, high risk hospital 30 miles from where I was that had a level 1 NICU to care for him. The following week was one of the darkest times in my adult life. With a hemoglobin of less than 6, I was too sick to be released from the hospital. The time before smart phones with amazing video or picture technology existed, I longed to see and hold my little guy. Instead I was left with some simple polaroids that seemed to capture his vulnerable state in such a way it would make any mother's heart hurt. People begin to emerge in my room the next day with stories of angels surrounding my son and I. A doctor whom I had never met came to tell me she had delivered my baby that night. The story she told me still runs chills down my spine and brings tears to my eyes. You see, when my baby was in distress, there was no time to wait for my doctor. She was finishing up another C-Section in a adjoining operating room, and came over to deliver my son via C-section. She wasn't in my network, and I had never met her, but God had her there at the right day and the right time. "We didn't expect your son to be breathing when we pulled him out," she said. "When we pulled him out and he took that first breath of air, the whole OR started cheering!" My nurse who was on call, along with countless others assured me that a "higher power" was looking out for me that night. May 20th was coincidently my mom's birthday as well and she tells me how she prayed the entire way to the hospital that she would not lose her grandson on her birthday. I am forever grateful to both the medical personal that knew exactly what to do that evening, so that both my sons and my life were spared. It was five VERY long days before I was well enough to be discharged from the hospital and able to meet my son for the first time. Pictures like this remind me just how fragile his little life was… At five days old, he was 3 lbs, 12 oz. So tiny in comparison to his 5' 5 body frame today. His gentle spirit, patience, and love towards others, makes me so proud to be his mama. I always remind him that there is a reason that God wanted him to be here on this earth. My prayer is that nothing in your life will be wasted Keegan….That you live your life wholeheartedly to find that purpose and share it with others! 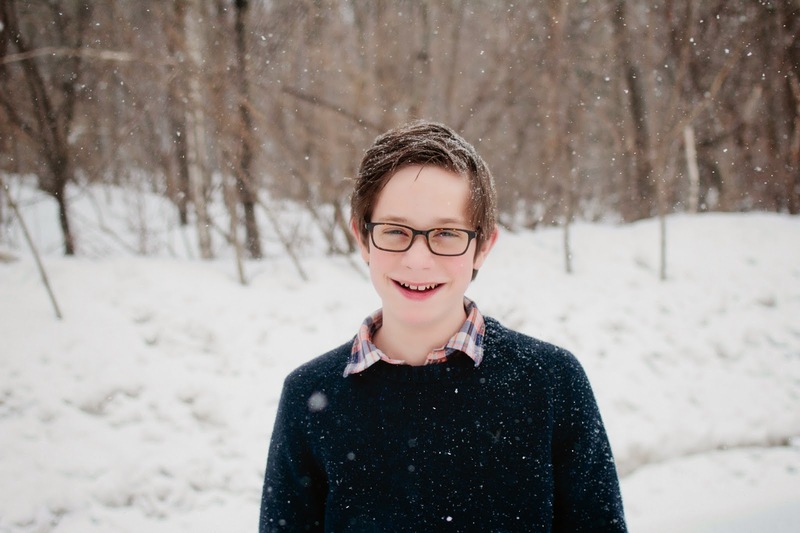 A very happy 13th birthday to my handsome, miracle baby boy! Bawling my head off! What a great story...what a great, strong boy and Momma! That was such a beautiful, touching story Steph! Thank you for sharing, it brought tears to my eyes and is a wonderful reminder of just how precious life is. Happy birthday to Keegan! I hope you all are having some great family time together today! Love, love, love this. I am in tears. Thank you for sharing! Thank you Kerry. Lots of hugs to you as I think of your little ones in heaven. Until now, I did not know Keegan's birth story. 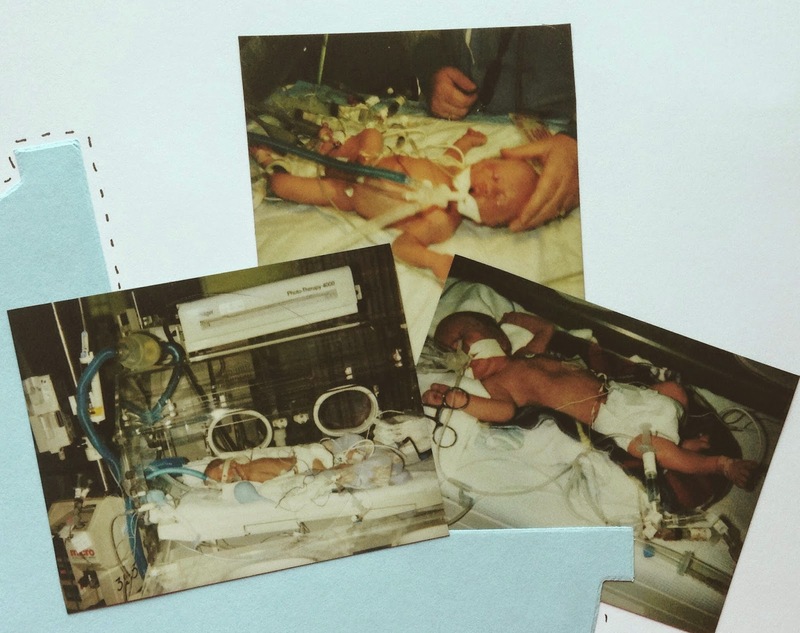 I knew he had been born prematurely but not the extent of the complications. Keegs, the joy you share with others is, without a doubt, part of God's purpose for you. You serve Him well! I had no idea the 'story behind' of what God did in your precious lives -- oh my!! Thanks for sharing!! Happy 13th birthday!! ps. A teenager in the house, mom!??!?! How's that feel!?? Wow,gave me tears. I had a similar situation. At 26wk 3days I had a placenta abruption, went to ER was sent home, had a 2nd abruption back In ER. Was put in magnesium for 48hrs (that stuff is a doozie). Baby was surprisingly looking just fine during all this. On hospital bed rest for 7 wks, at 34wks the abruption was cleared and sent me home on bed rest. My son came at 36wks 5 day and was perfectly healthy. Now when I look back and read similar situations, I can't believe how lucky We were and that our now 7 1/2 old yr son is healthy. Target side tables turned flower planters! A MAJOR design fail turned beautiful!